Walt Wagner was born in Seattle, beginning classical piano study at age six. He joined a rock band while in high school, continuing his classical training at the University of Washington with Bertha Ponce Jacobsen. Wagner’s first professional work, playing rock music, led to a full-time music career and an increasing interest in jazz. In fact, his involvement in rock had been an introduction to basic jazz harmony, rhythm and improvisation. His jazz playing and composing developed into a personal style as he emulated the pianists he admired: Fats Waller, Art Tatum, Oscar Peterson, André Previn, Chick Corea and others. Gradually, Walt applied this multifaceted style, and his full sound, to the music of such composers as George Gershwin, Jerome Kern, Rodgers and Hart, and Irving Berlin, as well as to his own compositions. For the last two years, Walt Wagner has been featured in concert at the Lionel Hampton Jazz Festival. He has performed with Jay Leno, Bill Cosby, Bob Hope, George Burns, Lily Tomlin, Roberta Flack, Sammy Davis, Jr., Bob Newhart, and as pianist-conductor with Peggy Lee. Wagner’s guest appearances include The Tonight Show, Merv Griffin, and an Andy Williams & Peggy Fleming special from Madison Square Garden. Wagner’s own TV special, “The Walt Wagner Show”, aired worldwide. A prolific composer, Walt writes much of the music for his concert and club appearances, and increasingly is writing works in the classical category. 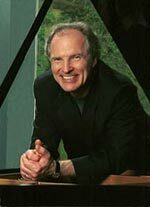 In May, 1997, he premiered a new piece, “Rhythms – for Piano, Winds & Percussion”, performing as soloist with the Washington Wind Symphony, conducted by Gene Aitken. Another commission was a piano concerto, “The Miracle – for Piano & Orchestra”, which was premiered in June, 1996 with R. Joseph Scott conducting the Bellevue Philharmonic Orchestra, again with Wagner as soloist. He also writes all his own big-band arrangements for jazz performances as well as orchestrations for “pops”-style concerts with symphony orchestras. Current releases include: THE MIRACLE – FOR PIANO & ORCHESTRA; RHYTHMS – FOR PIANO, WINDS & PERCUSSION, with Wagner as composer/soloist and Gerard Schwarz conducting the Seattle Symphony Orchestra (Semaphone #79312); and EVEN THERE, a collection of hymns, produced and arranged by Wagner for piano, string quartet, African drums and guitar, featuring the amazing vocalist, Sue Nixon (Semaphone #70022).